VeinCare has expanded to offer more treatment options to keep you looking and feeling good. We are proud to announce Swan Medical Aesthetics, the new and improved VeinCare! 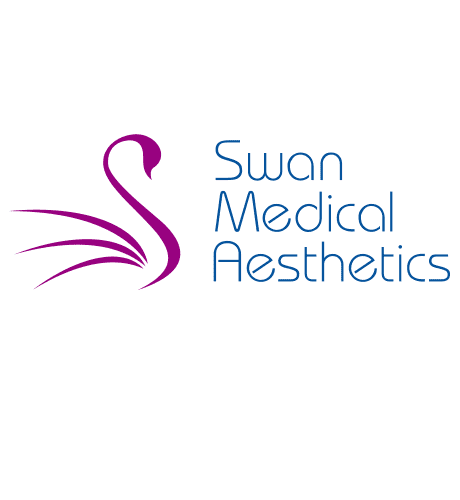 Website under revision as we work to provide you with more information about Swan Medical Aesthetics. "VeinCare is an incredible practice. I cannot even express how they have changed my life." "Not only are they a highly skilled medical team, they are like family to me. " " She spent extra time with me explaining vein disease and my treatment plan." "Dr. Smith and her staff are fantastic"
"She is a caring Dr. who is very sincere and warm." "Dr. Smith and her staff are awesome. My legs feel great!" "Very attentive to details, excellent care and overall patient satisfaction!" Jane Smith, M.D., specializes in the treatment of varicose veins, spider veins, and their complications as the sole practitioner in her vein center in Raleigh, North Carolina. She grew up in New Haven, Connecticut, the daughter of a Physician father and a stay-at-home mother from whom she learned the value of compassion, empathy, and humility. By age eight, she’d already decided that she wanted to become a doctor. At Princeton University, Dr. Smith studied psychology and swam on the varsity swim team. After graduating from Princeton, she attended medical school at the University of Cincinnati. In 1984, she completed her residency in Internal Medicine at the University of North Carolina, where she became a proud Tar Heel. During her training, Dr. Smith earned the Outstanding Teaching Resident Award and the “I Care” Award. After finishing her residency, Dr. Smith assumed a position at the Medical Clinic at WakeMed in Raleigh, North Carolina in which she cared for indigent patients in a primary care setting. Two years later, in 1986, she joined Raleigh Internal Medicine, where she practiced primary care for the next 13 years, providing quality care for over 5,000 patients. Eager to spend more time with her patients, in 1999, she seized the opportunity to make a change to a new field, Phlebology -- the evaluation and treatment of patients with vein disorders -- and opened the Raleigh office for Vein Clinics of America. Dr. Smith valued their superior training program and approached this new field with energy and enthusiasm. A temporary position soon grew into a new passion and career path. In 2003, Dr. Smith embarked on a fulfilling journey to opening her private practice. Through hard work and perseverance, she founded VeinCare of Central North Carolina, a nonsurgical treatment center focusing on spider veins, varicose veins, and more. She recognizes the need for a more compassionate, individualized approach to health care and strives to provide it every day. Dr. Smith loves spending time with her four children and a revolving door of cats and dogs over the years. She loves to exercise, swim and sew in her spare time (which means she doesn't do much sewing!). She’s now welcoming new patients. Call the office to schedule a consultation or book online. Please contact our office if you do not see your insurance plan listed. "Dr. Smith is very good at what she does and her staff members as well. Very pleasant and patient. Highly recommend her service's." "Dr. Smith is one of the most caring, thoughtful, and dedicated doctors I have ever met. Her level of expertise and experience in vein treatment is extremely high." "They worked a miracle on my legs! I am now pain free and not embarrassed to wear shorts." "Dr. Smith always puts me at ease during procedures and spends extra time to make sure I'm getting the best possible results"
"I will forever be grateful to Dr. Jane for treating me like a person, a family member, and friend...not just a patient."